Carbon Fiber Tissue/Veil - CST The Composites Store, Inc. CARBON FIBER TISSUE/VEIL, 0.2 oz./sq. yd. Sometimes referred to as veil or mat. Carbon Fiber Tissue/Veil, 0.2 oz., 35.5" wide, 1 yd. pkg. Carbon Fiber Tissue/Veil, 0.2 oz., 35.5" wide, 2 yd. pkg. Carbon Fiber Tissue/Veil, 0.2 oz., 35.5" wide, 3+ yds. 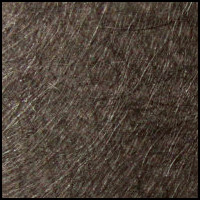 Carbon Fiber Tissue/Veil, 0.2 oz., 35.5" wide, 100 yds./rl. Price per 100 yd. roll, Minimun quantity 1 rl. CARBON FIBER TISSUE/VEIL, 0.5 oz./sq. yd. Carbon Fiber Tissue/Veil, 0.5 oz., 12.5" wide, 5 yd. pkg. Carbon Fiber Tissue/Veil, 0.5 oz., 12.5" wide, 10 yd. pkg. Carbon Fiber Tissue/Veil, 0.5oz., 12.5" wide, 100 yds./rl. Price per 100 yd. roll. Minimum quantity, 1 roll. Carbon Fiber Tissue/Veil, 0.5 oz., 35.5" wide, 1 yd. pkg. Carbon Fiber Tissue/Veil, 0.5 oz., 35.5" wide, 2 yd. pkg. Carbon Fiber Tissue/Veil, 0.5 oz., 35.5" wide, 3+ yds. 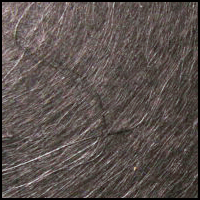 Carbon Fiber Tissue/Veil, 0.5 oz., 35.5" wide, 100 yds./rl.